If you're bellying up for a PBR at the local dive, you might not expect everything in sight to be perfectly clean. Even if you expect it, you might not get it. But having a clean glass can impact the taste of your beer. Detergent residue, residual food, and oils are often left behind by a quick clean, and it may alter the flavor and smell of your beer. 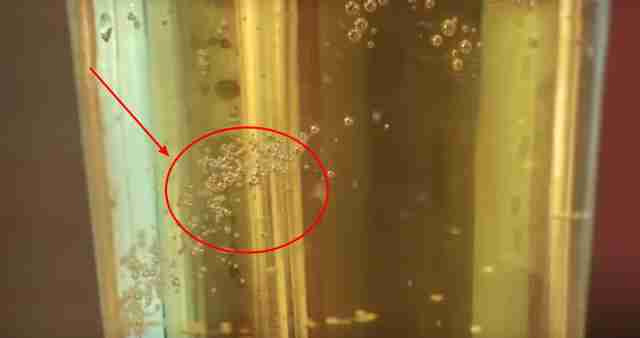 The glass isn't "beer clean" if you get little bubbles clinging to the side of the glass. Another sign is a quickly dissipating head as a result of the beer mixing with detergent residue. The video above shows what this looks like and goes into quite a bit of detail. Most will file this under things worth knowing, but not worth acting on. If you return a beer to your bartender because of tiny clinging bubbles, you're probably going to get a raised eyebrow. (There are definitely people who think you should return it, though.) This isn't one of the classic signs of a bad bartender, but maybe it should be.